The ability to quickly and easily make awesome typographic poster using hi-res powder photos, either with our unique layered Photoshop .PSD or using the 60+ individual transparent .PNGs. BLACK EDITION: These powders were all taken on black backgrounds and work best with darker background colors. • Over 60 individually shot and cutout powder .PNGs in multiple colors. Over 60 individually shot and cutout powder .PNGs in multiple colors. File size is approx 1.4GB (1.63GB unzipped), offered as a single downloads, as well as a 2 part download. I am also looking forward to a white version, would appreciate it ! Hope to hear from you when you have obtained it. Thank you so much for your comment! We really appreciate your feedback on this one 🙂 I’ll be sure to pass this on to our product team to see if this will be available in the future! I hope this helps, Kitty, and thanks again for your feedback! Please don’t hesitate to contact me should you have any other questions. I’m here to help! I have this and it’s amazing! I’ve made them into brushes and I think you should consider doing the same with them. They’re incredible. I’ve made a few dual brushes with them to make some really unique stuff. Woah – that is awesome to hear, Kyle! Thanks so much for your comment. It’s so great to hear you’re getting some great usage of your POWDR resources. I’d love to take a look at these in action if you ever wanted to share your work? Thanks again for your comment, Kyle! If you ever have any questions or queries please do let me know, I’m here to help. I’ve had this for a while and I think it’s gorgeous, love it. Will a white version ever come out though? 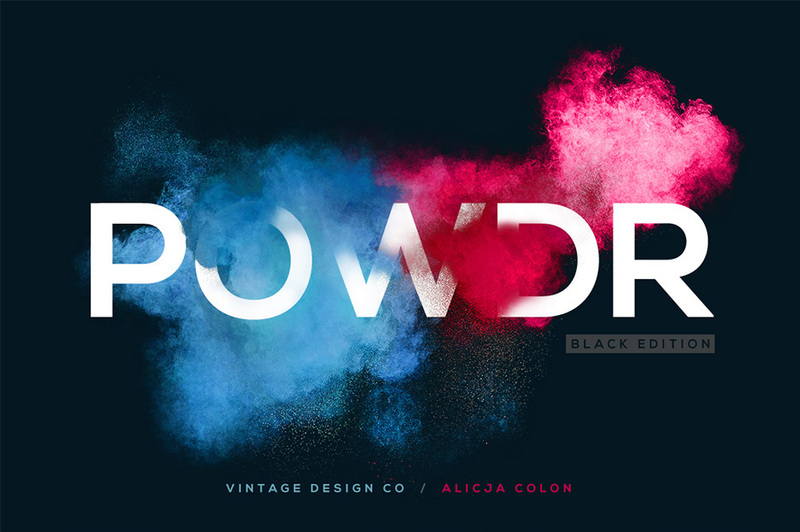 We are so happy that you are enjoying Powdr and we hope you get loads of use out of it! Ian Barnard did an awesome job as always :).